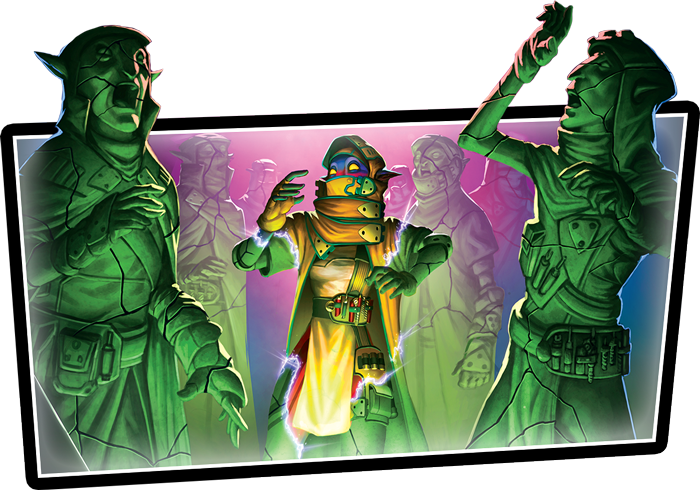 KeyForge takes you to the wild wonderland of the Crucible, where you and an opponent take on the roles of ethereal Archons, fighting for control of the planet’s hidden Vaults. In battles of wits and strength, you will unite members from three of the Crucible’s seven Houses under your leadership, balancing their strengths and forcing them to work together to earn victory. The Crucible changes all who are brought here, some more than others. Some factions fight to maintain a sense of cultural purity, holding onto their homeworld and resisting any change that the Crucible encourages. The Martians are one such faction. Led by their Elders, the Martians seek to conquer the Crucible and ensure that even on this new planet, Mars lives on. 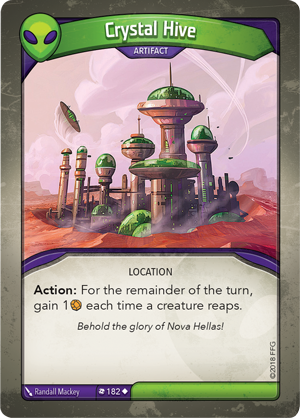 Today, we're pleased to offer you a closer look at the glorious empire of House Mars of KeyForge: Call of the Archons—now available for pre-order at your local retailer or online through our website! The Martian Empire first arrived on the Crucible about two hundred years ago, and it has remained largely unchanged since. 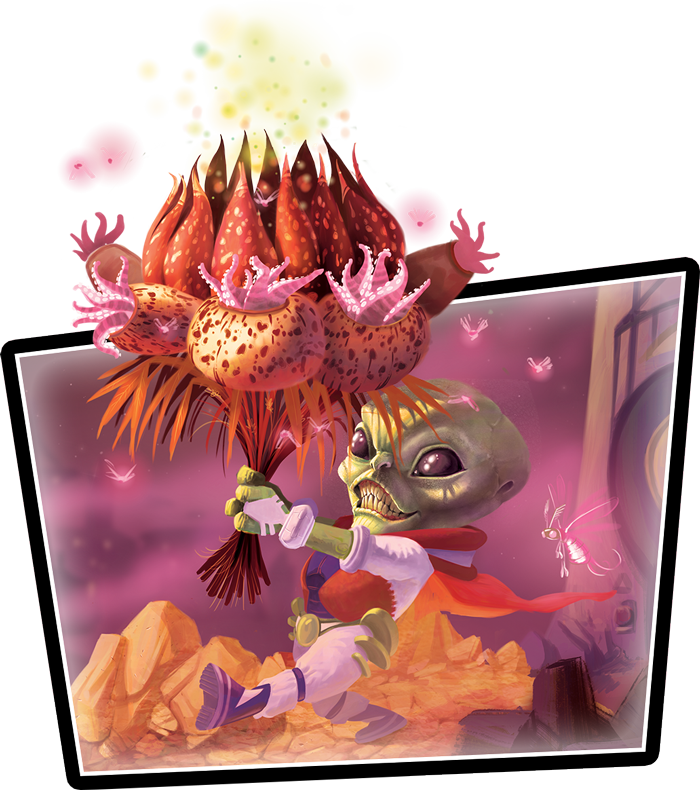 They still use flying saucers and rely on classic weapons like the Red Planet Ray Gun (Call of the Archons, 211). 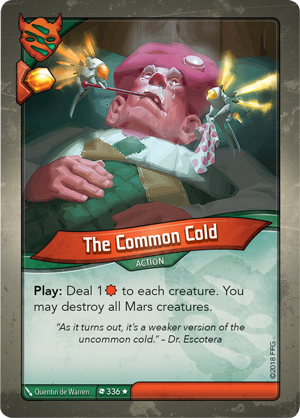 House Mars’s war machine has found some success on the Crucible, but they also face more dangerous foes than they had ever encountered, facing the likes of Trolls (Call of the Archons, 48) and The Common Cold (Call of the Archons, 336). 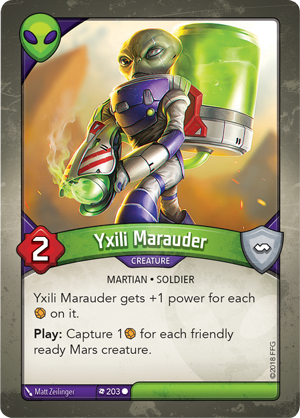 The smaller Martian soldiers are ruled by the towering, wise Elders. 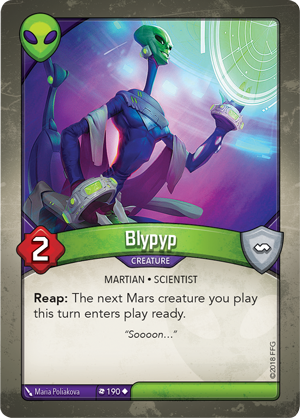 Under the guidance of these Elders, such as Blypyp (Call of the Archons, 190), the Martians are ready for combat at any time. 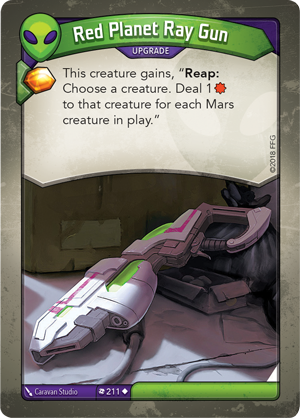 These Elders also have more freedom than their soldiers, able to engage in interests outside of constant devotion to Mars. They can even have their own personalities! For example, "John Smyth" (Call of the Archons, 195) is fascinated by the cultures of foreign planets, such as Earth. 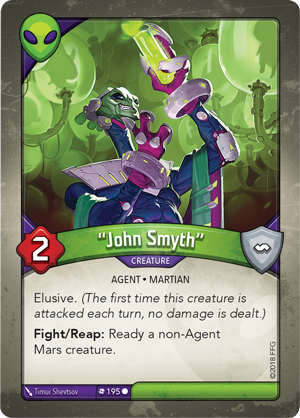 "John Smyth" shares the Elders’ ability to ready followers, but this creature is also elusive, which is a key feature among the creatures of House Mars. 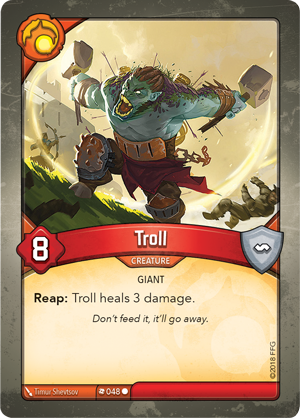 Elusive creatures don't suffer damage the first time they're attacked each turn. 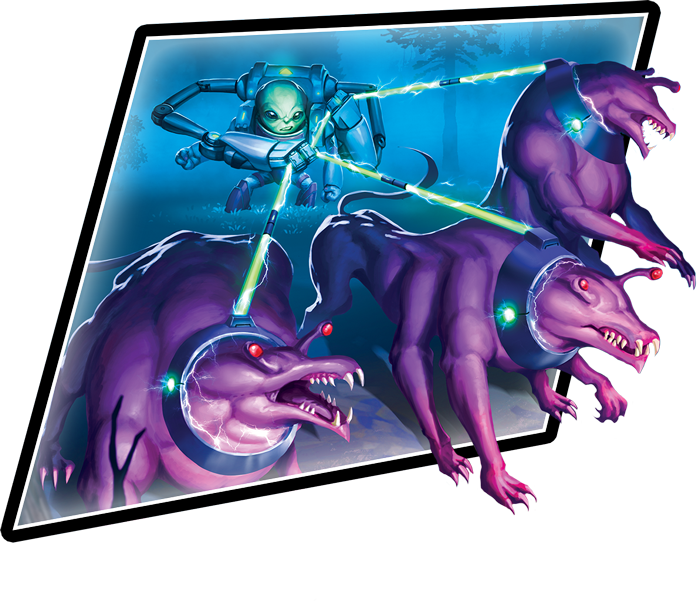 While they won't deal any damage in return, elusive creatures still force your opponent to exhaust multiple creatures just to land a single blow. Beyond the Martians who came from their home planet, the great variety of creatures on the Crucible, graciously brought to the planet by the Architects, provide wondrous new possibilities for biological engineering to create the perfect monster. One of House Mars’s greatest creations is the Ether Spider (Call of the Archons, 192). 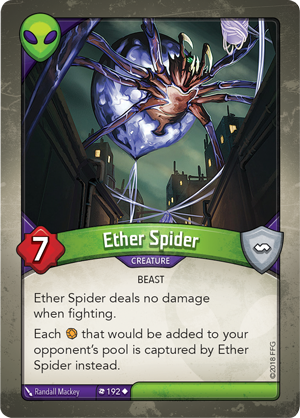 Although this beast deals no damage while fighting, every Æmber your opponent would gain is captured by the Ether Spider instead! 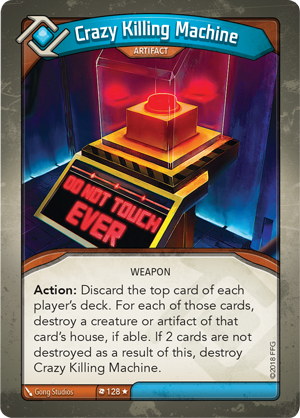 With seven power, disposing of this obstacle may prove a tall order for your opponent. 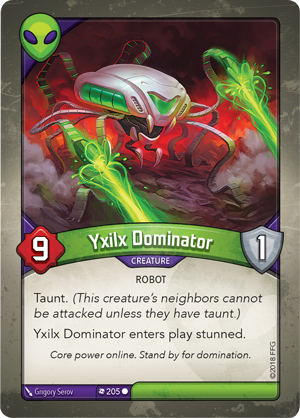 You can make this task even more difficult by playing an Yxilx Dominator (Call of the Archons, 205) beside the Ether Spider, using their taunt keyword to protect your monster. Despite their ability to communicate with all creatures, Archons have historically had difficulty with the Martian Elders, who see them as a threat to Martian purity. But even the Elders cannot deny the rewards that come with an Archon alliance. When the ethereal beings succeed in opening one of the Crucible’s Vaults, they always share its bounty with their team. Thus, the Elders allow a certain degree of fraternization between their House and the Archons, but never more than necessary. 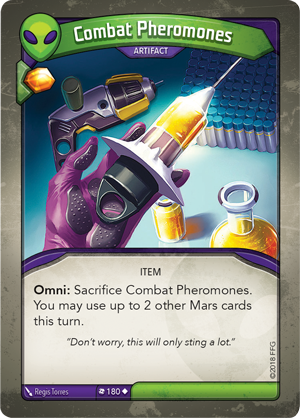 Martians are cloned and bred to fight, using Combat Pheromones (Call of the Archons, 180) and events like Soft Landing (Call of the Archons, 177) to send in their army onto the field already prepared for battle. The Martian soldiers may be small in stature, but what they lack in physical size they make up for in numbers. 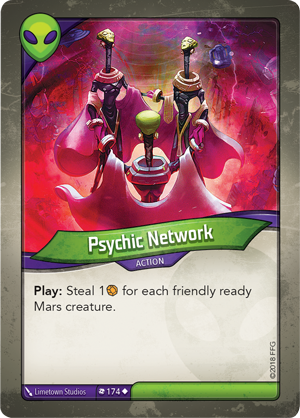 Cards like the Yxili Marauder (Call of the Archons, 203) and Psychic Network (Call of the Archons, 174) become more effective with each ready Mars creature in play, creating a deadly synergy that can overwhelm your opponent in a single turn. Maybe, contrary to popular belief, Martians can make good allies. Maybe. 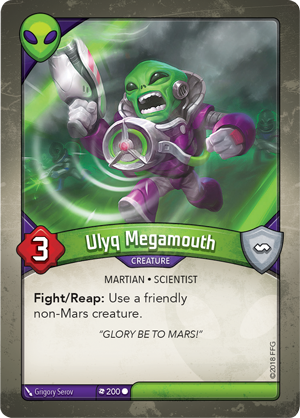 When they join an Archon’s team, experienced Martian soldiers like Ulyq Megamouth (Call of the Archons, 200) can inspire comrades from allied Houses, allowing them to fight while Mars is the active House. 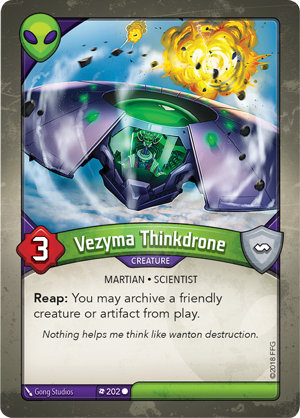 If one of these allies becomes injured, the Martians can use what have learned from House Logos to recall them to their Archon’s archives with the Venzyma Thinkdrone (Call of the Archons, 202). But these wandering Martians must be careful: if a soldier gets out of line, the benevolent Elders take it upon themselves to "gently" right them with cranial electro-correction. 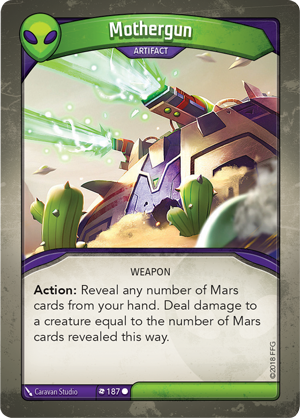 House Mars also brings incredible technology to their teams, presenting their allies with weapons like the Mothergun (Call of the Archons, 187), which can deal incredible damage even when Martian soldiers aren’t on the field. These powerful machines were once powered by the cavorite that poisoned the Martian homeplanet and led to the downfall of Mars. 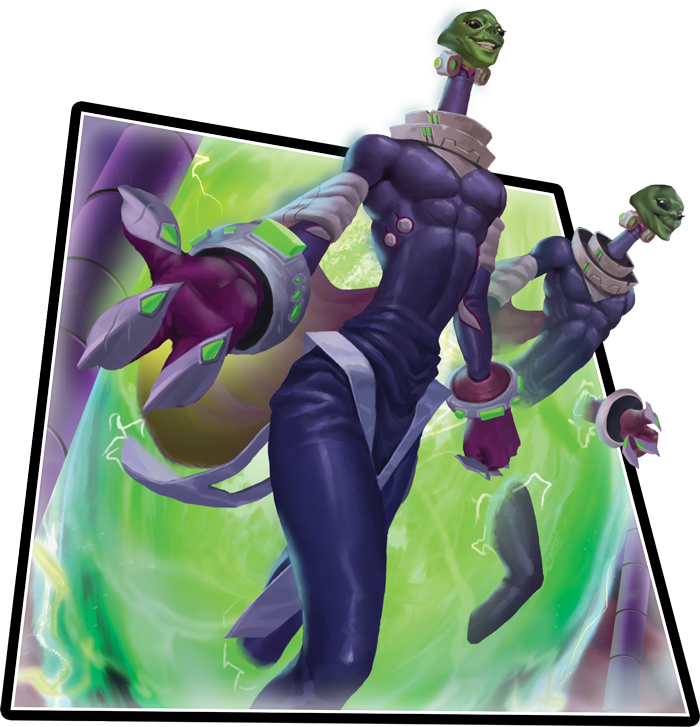 Now, this technology is powered by Æmber, and thus far, there have been no negative side effects. In fact, the Martian desire for Æmber is so great that they have become incredibly efficient at gathering the substance. 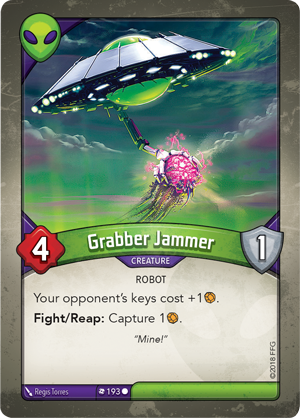 The Grabber Jammer (Call of the Archons, 193) can capture your enemy’s Æmber while forcing them to spend more to forge keys and the Crystal Hive (Call of the Archons, 182) essentially doubles your reaping ability, earning you Æmber each time a creature reaps. 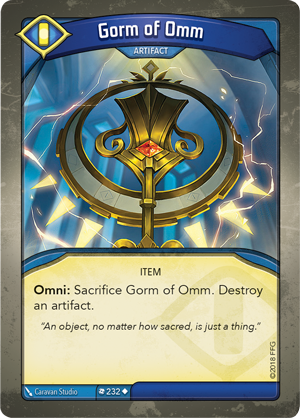 If your opponent doesn't have a card like House Sanctum’s Gorm of Omm (Call of the Archons, 232) or Logos’s Crazy Killing Machine (Call of the Archons, 128) that can destroy this artifact, the battle will be over before it has even begun. 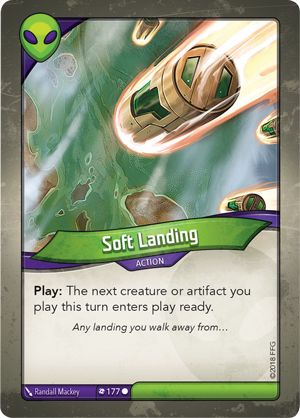 The fast-paced clashes of KeyForge offer House Mars the chance to display their strength and pride, but if they wish to fully conquer the Crucible, they must rebuild their fleet of flying saucers. 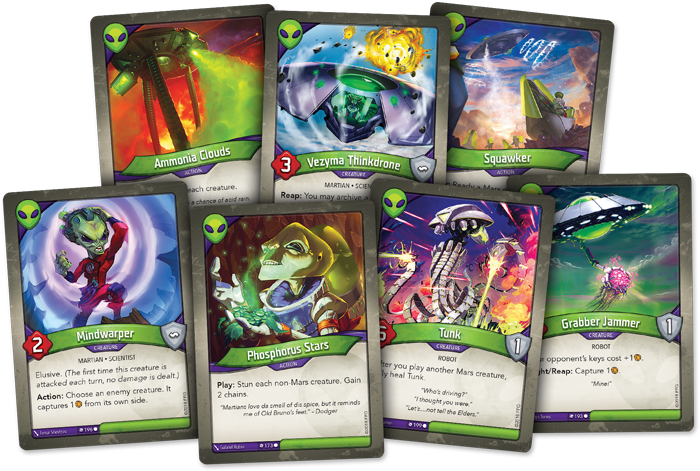 Unfortunately, some mysterious force keeps their spaceships from leaving the atmosphere… so it appears that, for the time being, the Martian Empire is here to stay. In the two centuries since their arrival, the empire of Mars has already conquered three cities on the Crucible and their power will only grow. Combine them with the other Houses and discover the perfect team to open the Vaults of the Crucible. Glory be to Mars! 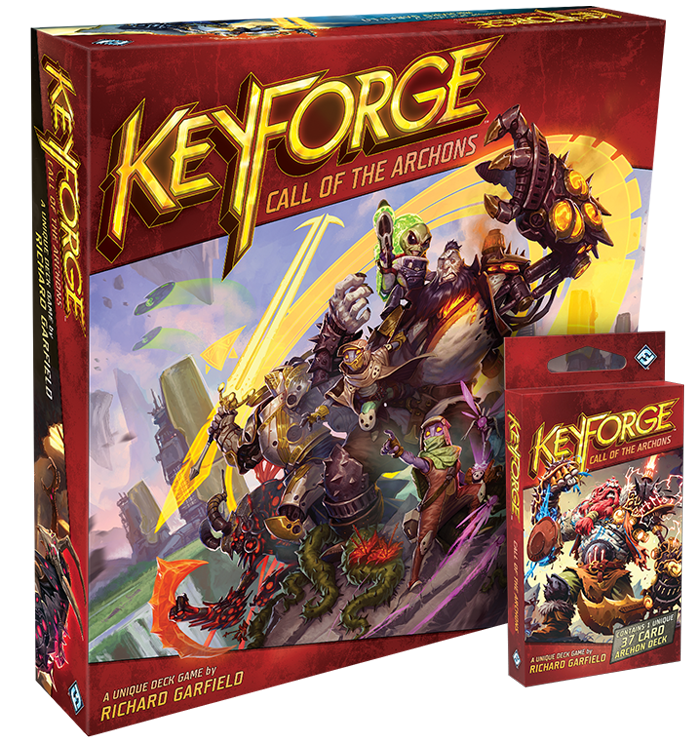 Pre-order your copy of KeyForge: Call of the Archons (KF01) and your personal collection of Archon Decks (KF02a) at your local retailer today or online through the Fantasy Flight Games website here!